I love the little W7 boxed blushes and bronzers, they are such great little dupes for all the Benefit boxed products and the quality isn't half bad either, so today I thought I'd share my thoughts Honolulu. Honolulu is a matte brown bronzer which is just what I love, no orange tangoed faces here he he, it has no sparkly/shimmery particles running through it what so ever which I'm happy about as I'm not a fan of that either. When I first opened up the cute packaging I must admit I did think it looked quite dark in the pan but to my surprise it actually has buildable pigmentation meaning you can just keep layering up the bronzer until your happy and have your desired look. Honolulu is also in no way muddy looking or, like I mentioned before orange, thank goodness, they are the main two worries I always have when using bronzers so it's nice to know Honolulu creates neither!!! Ive found the lasting power of Honolulu to be great too, it literally lasts all day, but I have been using a little primer underneath my foundation at the moment so that could well be helping with the wear time. The only negative I can really say about this bronzer is that its quite powdery, I'd definitely suggest giving your brush a good tap after you've picked up some of the product otherwise you can get alot of fallout on your face, however if you tap of the excess its absolutely fine. Overall I'm super impressed with this little bargainious bronzer, it's so nice to add abit of a glow to your face in the awful dreary whether we have in the UK at the moment too. It's a great little dupe for the Benefit Hoola Bronzer and it looks super pretty too, I love it and am super happy with it's quality!!! You can get the W7 Honolulu Bronzer from the Fragrance Direct website for just £2.25!!! Have you tried any of the W7 boxed products before??? Id love to know if you have. 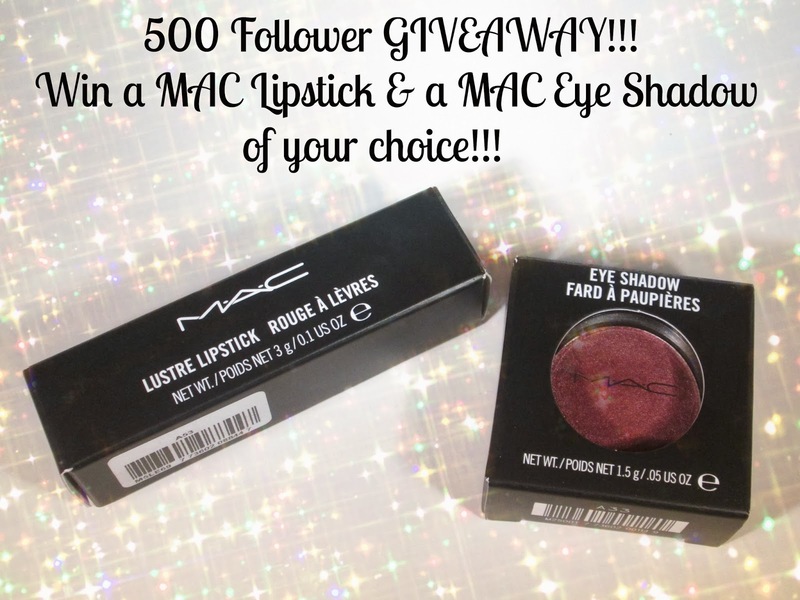 Don't forget you can enter my 500 follower GIVEAWAY here to be in with a chance of winning a MAC lipstick and a MAC eyeshadow of your choice!!! 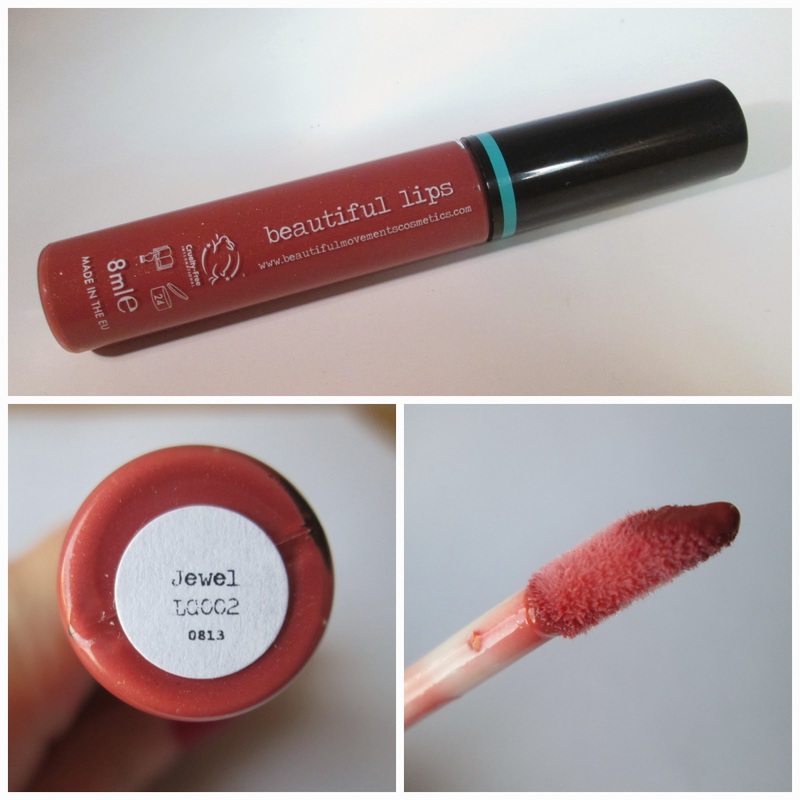 I'm back with something slightly different today and something I've never actually done on my blog before and that's a NON beauty favourites post. As it's a new year and all that jazz, I thought I'd switch things up abit and add a new monthly feature to my blog, I hope you girlie's all like the idea. Arrhhh One Tree Hill is probably my favourite TV show ever!!! Even though series nine, which finished last year, was the last in the series it hasn't stopped me getting my box sets out and watching them alot recently. 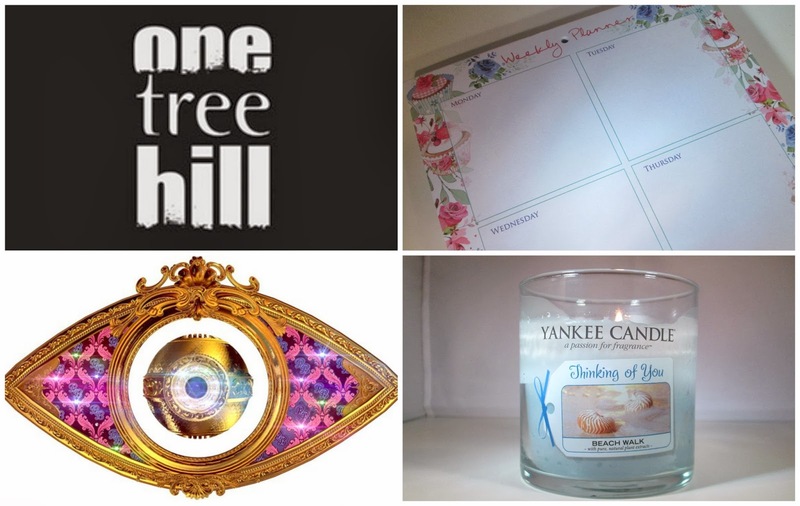 I love nothing more that getting into bed nice and early all snuggled up and having a One Tree Hill marathon, and January has certainly been the perfect month do just that!!! I'd been after a weekly planner or organiser for ages, I just wanted to make sure 2014 was going to be an organised year for me in the blogging world, my Mum bless her, found a cute weekly planner and kindly bought it for me and I have to say girls, if you don't have one, you need one. It's helped me dramatically with my blogging schedule and to be honest I write everything and anything on there that I need to do or remember, it's brilliant!!! I have been obsessed with this years CBB, don't get me wrong I watch every single series no matter how good or bad it may be ha ha but wow... This years CBB has been a corker!!! The arguing has been hilarious, I've never wished so much for a couple as much as I do for Sam and Ollie and Lee Ryan from Blue has shown the nation he's an absolute rat!!! I was really routing for Dappy or Ollie to win but I'm still happy Jim took the crown... I bet Linda was furious ha ha. I'm pretty sure if you follow me on Instagram or Twitter you will know I'm slightly addicted to Yankee Candles and this month has been no different, I got quite alot of candles for Christmas but that hasn't stopped me buying some more throughout January ha ha, I just cant resist he he. I literally burn Yankee Candles everyday in my house and at the moment I've been loving 'Beach Walk', It smells amazing and its rather refreshing after all the Christmas spicy scents. I really cant wait to start buying the spring/summer candles though, I particularly like the look of Bunny Cake, Summer Scoop and Sweet Pink. What have you been loving throughout January??? I'd love to know!!! Myself and liquid liner's have always had a love hate relationship, as much as I love the effect and the look of liquid liner I absolutely hate applying it as Ive always found it very tricky until last year when I finally mastered it, whoop whoop!!! After finally getting to grips with liquid liners I have found myself quite addicted to buying them to find the best, most easy to apply liquid liner that the high street have to offer. 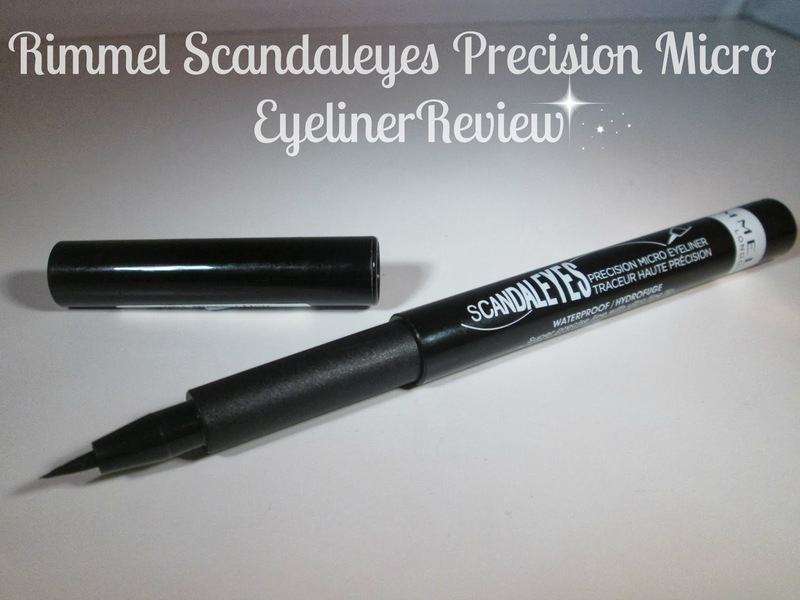 I'm thinking of doing a battle of the liquid liners style post soon or a best and worst but today I'm just going to share with you all my thoughts on Rimmels Scandaleyes Precision Micro Eyeliner. The Scandaleyes Precision Micro Eyeliner features an ultra thin felt tip nib, giving you a super fine line which is great for those days when you want a less dramatic eyeliner look or if you have small eyelids like myself, this eyeliner will certainly work well and not take up so much lid space that thicker liners are prone to doing. 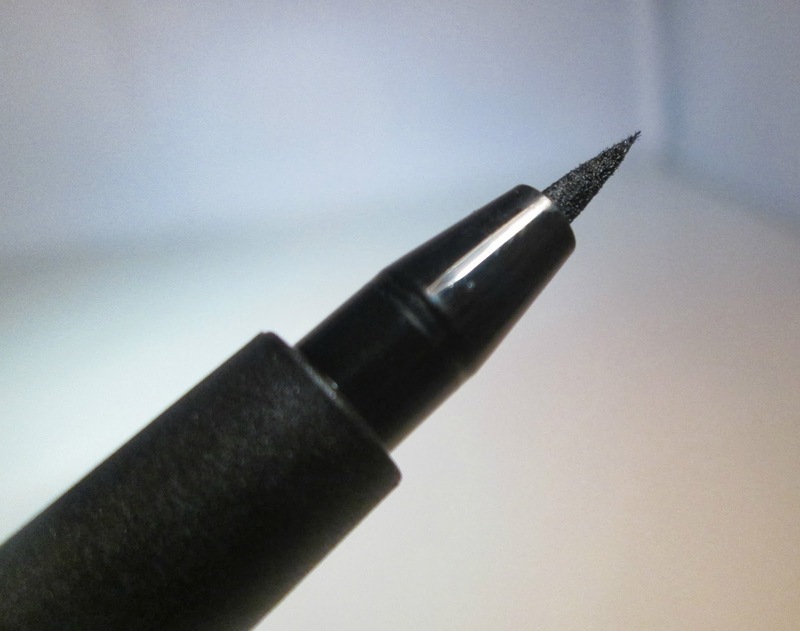 The nib of this eyeliner is also very dense meaning its nice and sturdy giving you lots of control so you can create the perfect flick/wing. 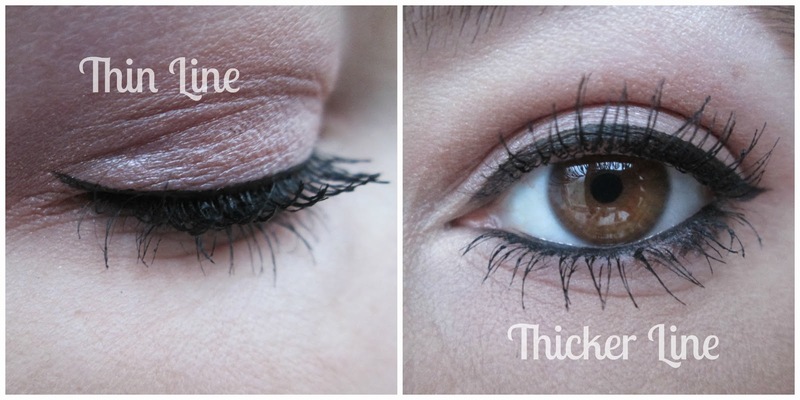 As for the eyeliners pigmentation... 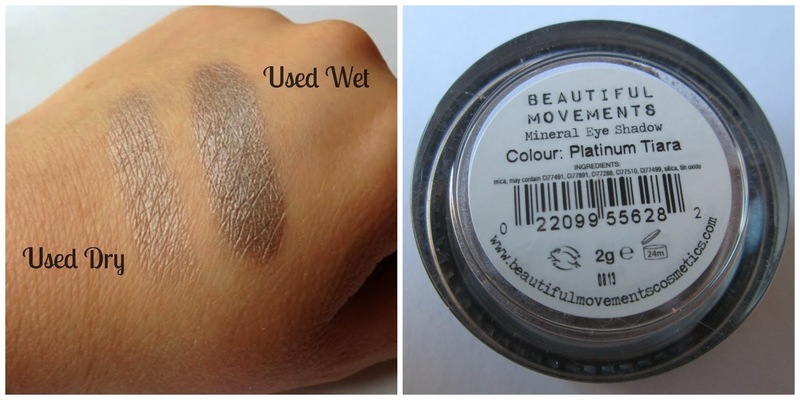 It's amazing, its an ultra black shade that applies completely black with one stroke, so theres no need to go over the line again and again, it also has a waterproof formula and claims to resist heat, sweat, flaking, smudging and lasts for up to 24 hours which I think is pretty fab especially in the warmer month's. I have to admit to begin with I did find this eyeliner a little tricky to apply, as the nip is alot smaller than any of my liquid liners I wasn't used to it but after about my 3rd of 4th go I was fine, the felt tip nib was nice a sturdy upon application, I purely think it was just the smaller size nib that threw me off abit ha ha. Overall I do really like this eyeliner, like I said before I think this will be great for anyone with smaller eyes with less lid space or even if you prefer a thinner more precise liner then this will be the for you, you aren't restricted to just having thin liner with the precision micro liner it just means building it up slightly. 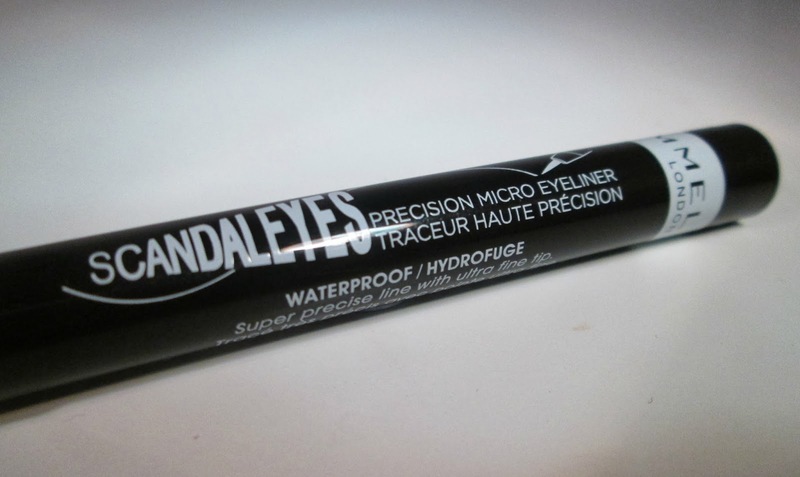 Have you tried the Rimmel Scandaleyes Precision Micro Eyeliner before beaut's??? What did you think?? I was recently asked if I'd like to try out a sample of a shampoo and a conditioner from a new and up and coming brand Naturalmente* and as I do love my hair products I couldn't wait to see what the brand had to offer. Naturalmente hair care products are all 100% organic and biodynamic, the range consists of shampoos, conditioners and hair treatments formulated from ingredients sourced from the plant kingdom and grown to strict organic and biodynamic standards. Flowers, fruits, spices, seeds, oils and essential oils are cleverly combined in fully bio-degradeable packaging to clean, nourish, condition and style your hair. This range does not contain synthetic fragrances, preservatives, parabens, DEA, MEA, TEA, Formaldehyde, Mineral and Petrochemical oils, SLS or SLES. This shampoo is ideal for deep cleansing as it removes impurities from your hair such as hairspray, hair gel, smog, smoke, dandruff and oil. It also stimulates the scalp enhancing blood microcirclation and hair growth, amazing right? The first thing I noticed when using this shampoo myself was it's scent, it has a very strong herbal scent to it which definitely wont be to every ones tastes but I really liked it, it was also quite relaxing which was nice, secondly it really doest lather up at all, which I have to admit was strange at first as it kind of tricks you into thinking its not cleaning your hair properly but I persevered making sure I had shampoo all throughout my hair and it was fine. On this occasion I used the shampoo just by itself with no conditioner as I wanted to see the shampoo's results and after blow drying my hair the results where lovely, my hair was smooth, shiny, there was no build up and it was sooo soft, what lovely stuff!!! The shampoo is available in 2 sizes, 50ml £2.60, 250ml £9.00. This conditioner moisturises and regulates the moisture levels of your hair, as well as providing shine and body without weighing your hair down. I have to say my hair is very dry and admittedly it needs a good cut so I couldn't wait to see the results. The conditioner has strong fruity/citrus scent which is really nice and so refreshing, it goes onto/through your hair just like any standard conditioner and once rinsed out and blow dried my hair felt lovely, I felt my dry hair really did benefit from using this conditioner as it no longer felt dry and brittle, you also get little bursts of the conditioners scent throughout the day too which is lovely. Overall, with the 2 products I've tried from Naturalmente I am really impressed, it also makes such a difference giving an all natural shampoo and conditioner a whirl, out of the 2 products I've tried I have to say the conditioner is my favourite as the results after using it where lovely, it honestly felt like I had actually had a treatment on my hair, it was lush! Have you tried any natural hair products before??? What did you think??? Today I'm back with an exciting review featuring one of my most favourite brush brands Real Techniques. Real Techniques brushes are designed by the lovely Samantha Chapman from Pixiwoo. 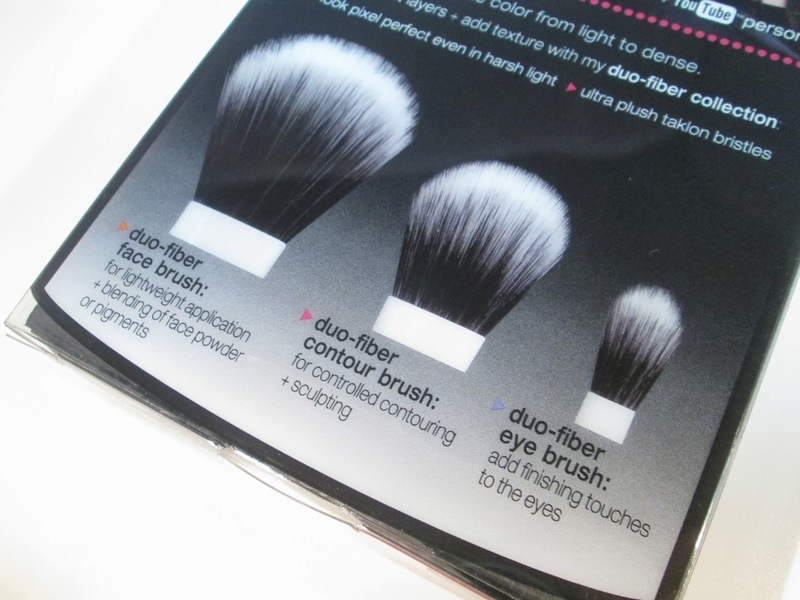 Sam has released lots of different individual brushes and brush sets so far but today I'll be reviewing her 'Limited Edition Duo-Fiber Set' which is a definite must have for any make-up or beauty lover. The set contains 3 full size brushes, a face brush, a contour brush and an eye brush, which can all be used with cream, liquid and powder products. 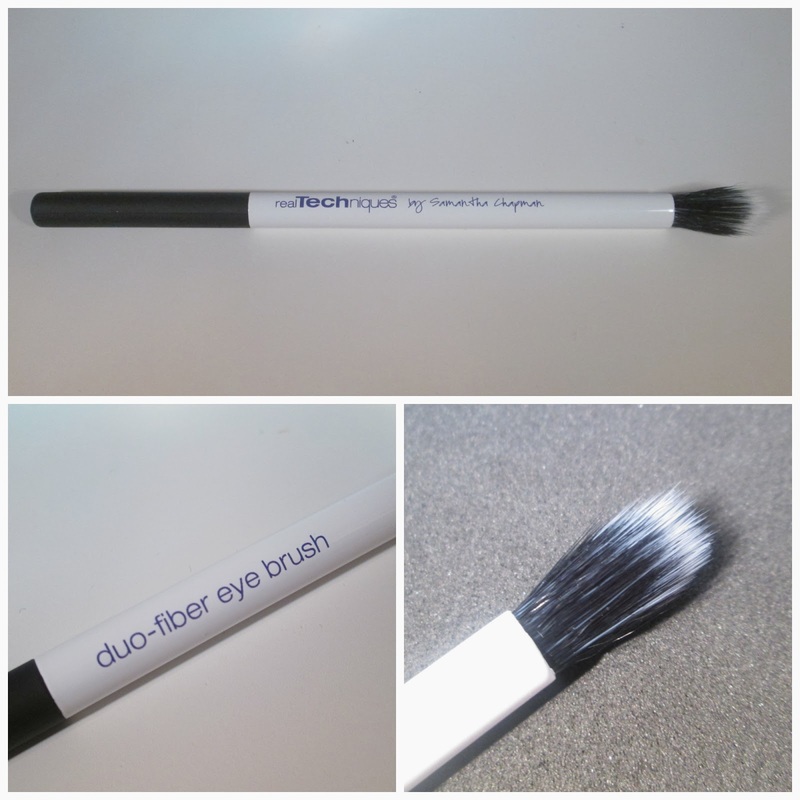 What I love about these brushes is that theres 2 different synthetic fibres in each brush making them 'duo-fibre', this helps to create soft layers, add texture and most of all to make your make-up look pixel perfect, sounds amazing right? This brush is great for applying any face product whether it be a setting powder, blusher or bronzer, the brush applies each product softly, allowing you to control how much you wish to layer up your products. Personally Ive been using this brush to lightly set my foundation into place with a loose setting powder, I also find its nice to blend over any bronzer or blush that I've used just to make sure everything is well blended, overall it's a lovely brush that I now couldn't be without. 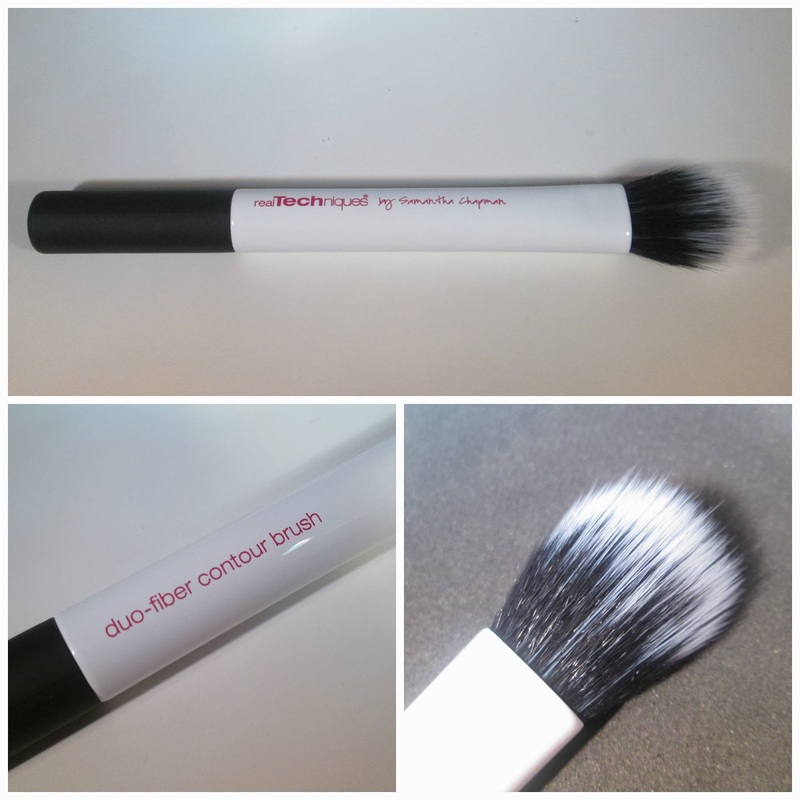 So as the name suggests this is primarily to use for contouring, if your not a pro at contouring like me, your going to love this brush as it applies your contour powder so soft, even if your heavy handed, and the brush allows you to keep layering up the product until your happy, I love it. I adore this brush, it applies and blends out your eye shadow on the contours of your eyes a dream, leaving no harsh lines and gives such a seamless finish, its also great for blending your concealer out under your eyes and around your nose too. 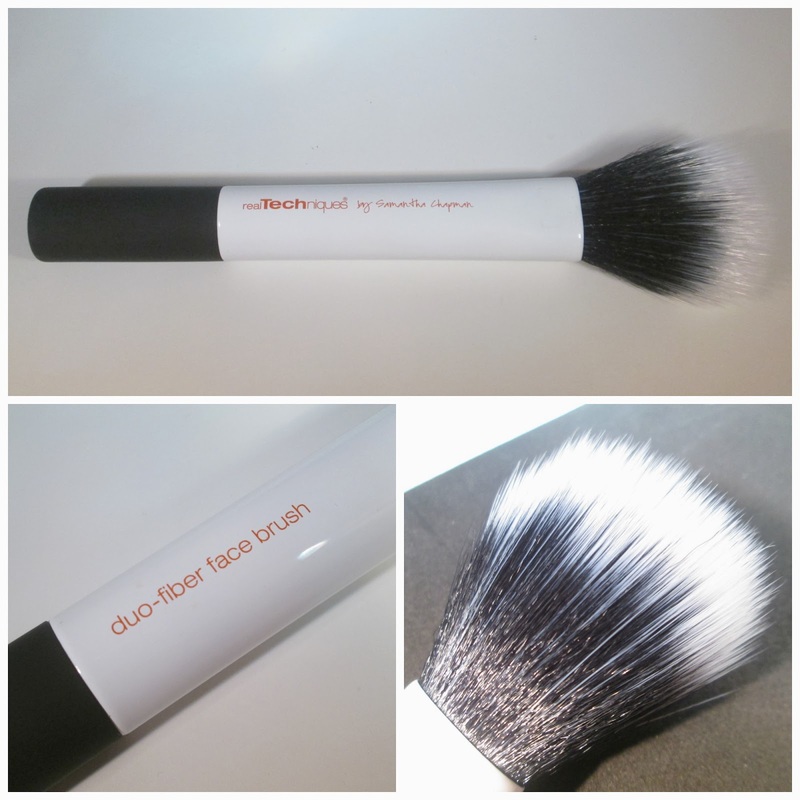 All of the Real Techniques brushes in the Limited Edition Duo-Fiber Set have light weight aluminium handle's making them really easy to use and have a rubber section at the bottom of the handle for extra grip and control, and all of the brushes are 100% cruelty free too which is a major plus. Overall I absolutely love these brushes and the finish they leave you with is beautiful and so natural. You can buy this Limited Edition Duo-Fiber Real Techniques Brush Set from Fragrance Direct for £21.50, that's around £7.00 per brush, what a bargain when they perform just as well as any high end brush!!! Have you got these brushes girlie's??? Are you a Real Techniques fan??? I'd love to know. I was recently asked if I'd like to try some little samples from a skincare brand called Resultime*. 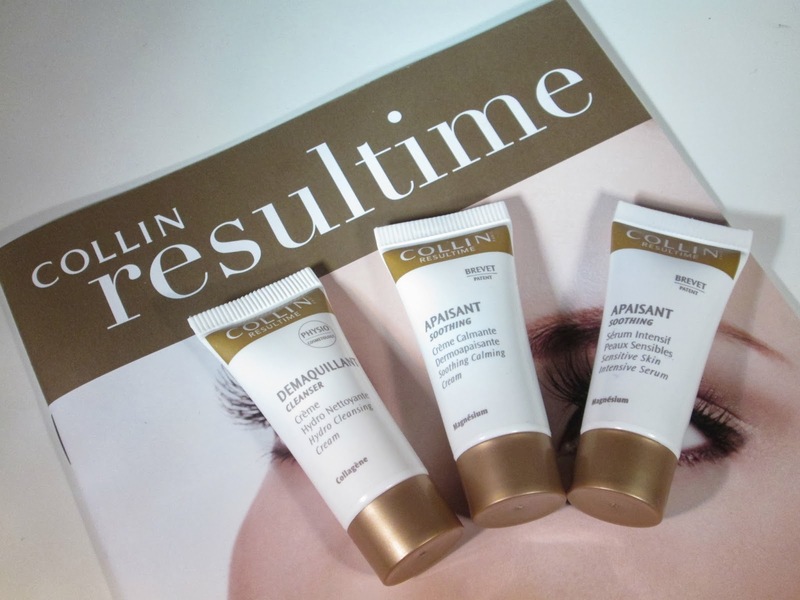 Resultime by Collin Paris is one of the best kept beauty secrets, it's a results-driven, sophisticated skincare brand, offering a complete salon treatment range and home care line that has a solution for every skin concern and specialises in Anti-Ageing. The one thing that really impresses me with this brand is that no matter what your skin type, age or skin problem, Resultime has the products to suit your skin's needs. Their website is so easy to follow and helpful, all you do is find your skin type or concern and it will bring up every product they have to offer, to help you with your problem, how great is that!!! I love this creamy cleansing wash, it's great for removing make-up and is an ideal 'in the shower' product that can be used around your eyes and leaves your skin clean and super soft. Its formula combines Collagen, Elastin and Hyaluronic Acid to maintain the youthfulness of the skin and leave it perfectly comfortable, supple and luminous. It is suitable for all skin types, and is ideal for dry skin. The full size bottle of the Cleansing Cream is £19.50 for 150ml. This intensive serum is great for anyone who suffers with the redness that sensitive skin can sometimes bring, it really does comfort and calm the skin. It's designed to show improvements when you've used the serum for up to 4 four weeks, as I have the sample size I cant say whether this serum does dramatically help my skin although I have noticed after I've used the serum my skin definitely felt really soothed and not so sore. The full size bottle of the Intensive Serum is £42.50 for 30ml. Like the Serum this Calming Cream really helps to sooth sensitive, irritated, blotchy, red, itchy skin, and can even be used to calm rashes and after sun exposure, so in a nutshell this is a great little multipurpose product. I like to apply this in the evening all over my face and down my neck and it really does make my skin feel calm and soothed which is so nice before you hop into bed, and it really keeps redness at bay to. The full size pot of the Calming Cream is £38.50 for 50ml. Overall, from what I've tried so far I do really like the Resultime Skincare brand and would certainly treat myself to some of their skincare products in the future, they feel and look so luxurious and I've already been eyeing up their Micellar Water and Cleansing Cream he he. I would definitely recommend Resultime if you struggle to get the correct skincare products for your skin type or skin concerns. Have you tried any skincare products from Resultime before??? I'd love to know beaut's. You may remember that last year I gave up on Glossybox and instead subscribed to Birchbox, the reason for me un-subscribing to Glossybox was because I was starting to feel constantly disappointed with the contents of my boxes and basically I had, had enough!! As its a new year and all that jazz I thought I would give Glossybox another go, as back in the day I used to love Glossybox, so I thought why not? This month's theme is 'back to basics' which is designed to get us back on the road to being moisturised, toned and having healthy skin. I'm quite looking forward to using these little under eye patches as I've never used anything like it in my life ha ha. They are basically little patches that you place on your under eye area to help reduce the appearance of fine lines, wrinkles and revitalise the delicate skin around your eyes, I've also loved everything that I've tried from Anatomicals in the past so I'm expecting quite good things from these. The full size 3 pack retails for £6.00. Theres not too much to say about this one, I mean I think everyone has tried a Vaseline body lotion in their time, haven't they?? I guess its nice to have for travel purposes though. The full size Vaseline Moisturising Lotion retails for £4.99 for 400ml. You cant really go wrong with a body wash and this one from Balance Me claims to give you a morning boost with its blend of juniper, bergamot, geranuim and lavender essential oils. The full size body wash retails for £10.25 for 250ml. I'm abit miffed at these samples as the fact this is a Japanese brand I fear they will be super hard to find or get hold in the high street if I wanted to repurchase them again. The moisturising cream from Japan claims to revamp your skin, enriching it with vitamin E, vitamin B2, camphor and a uniquely high glycerine content. All you have to do is massage a thin layer into your skin until the cream has disappeared. The full size version of the Yu-Be Moisturising Skin Cream retails for £13.50 for 33g. I actually love the fact I got these tweezers as I've been meaning to buy some tweezers for a while now, they look like the are really good in quality too and the fact they are super cute is just a bonus ha ha. 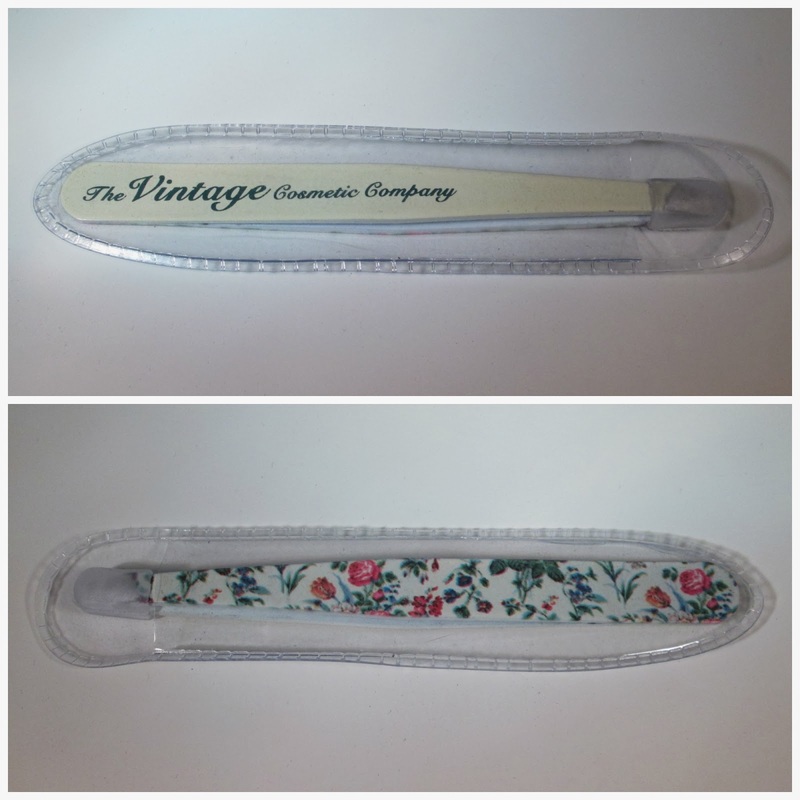 The tweezers retail for £8.00. Overall I have to say I'm really disappointed with Glossybox this month and the fact this is my first box after un-subscribing last year makes me even more disheartened. I really do hope that all the beauty boxes do start upping their game abit, who remembers the good old days when we received the HD Brows Palette and Illamasqua goodies??? Today I thought I'd share my thoughts on a Rimmel London Foundation that I picked up recently. Picking up a matte foundation is quite a change for me as I'm all about dewy foundations on my skin but as it was on offer for £4.49 instead of £5.99 I thought I'd give it a whirl. Rimmels Stay Matte Liquid Mousse Foundation claims to be a feather light liquid mousse foundation that blends flawlessly for a natural look, with all day shine control, and a silky smooth formula leaving you with a perfectly matte, baby-soft finish, that won’t feel heavy or greasy on the skin and minimises the appearance of pores. Woahhh sounds pretty amazing right? Firstly the foundation comes packaged in a 30ml lightweight plastic tube that stands freely from the bottom, it doesn't come with a pump or any type of dispenser its literally one of the squeezie jobbies. As far as I know theres 6 shades in whole collection, I opted for 100 Ivory as that's my usually Rimmel foundation shade and it matched my skin tone a treat. As for the formula of this foundation... As it's a mousse formula I expected it to be very lightweight like Rimmel suggest however I found it very thick and heavy, I also noticed that a little bit of this foundation doesn't go along way, I found myself having to keep squeezing more of the product out onto the back of my hand all the time. As for application... From the very moment I applied this foundation it was clear for me to see that if you have dry skin or any dry patches like I do then this foundation is a big no no, even when I used a good moisturiser it clings to those dry patches making them look even worse, however if you oily/combination skin I think your going to love this foundation. The foundation also isn't great if you like building up coverage as it just goes cakey straight away making you look like your wearing an inch of foundation which is never a good look. One of the things I do like about this foundation is the coverage, its a good medium coverage and completely matte's out your skin, you defiantly don't need to powder after using it either, but just beware the foundation has no added SPF so I'd highly suggest wearing some SPF underneath. 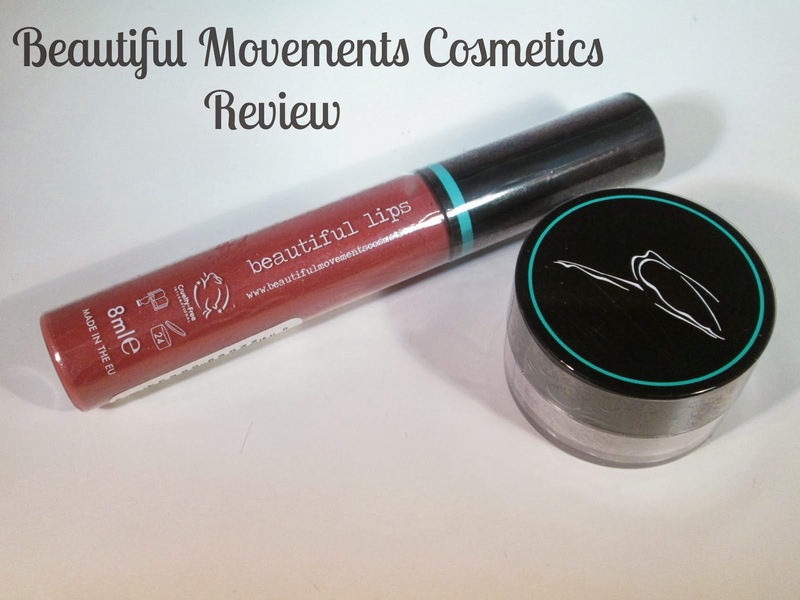 Overall I have to say I'm quite disappointed in this foundation, which makes a change for me as I love Rimmel as a brand and 2 of my all time favourite foundations are actually Rimmel foundations so I was almost positive I'd love this one. I do think that the fact I have some dry patches is a huge factor in why I don't like this and as I said I'm pretty sure if you have oily/combination skin this foundation would definitely be one I'd suggest you try. 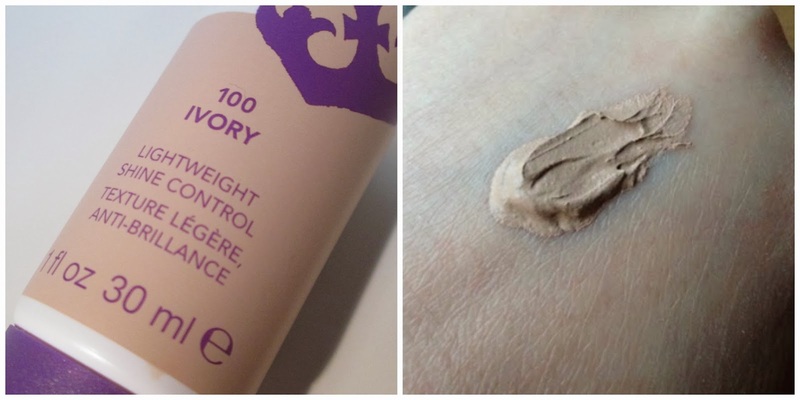 Have you tried this foundation beaut's??? What did you think??? *ENDED* 500 Follower GIVEAWAY!!! Win a MAC Lipstick & a MAC Eye Shadow of your choice!!! I cant quite believe it.... I recently hit a milestone of 500 Bloglovin' followers....WOWZA!!! I cant quite express how greatful and thankful I am to each and every one of you that support my blog haysparkle.com in some way, so in order for me to share some love I thought I would hold a giveaway, yayyy!!! A HUGE thank you to you all again for all of your support, this truely does mean alot to me. I am giving one of you gorgeous girlie's the chance to win a MAC lipstick of your choice worth £15 and a MAC eyeshadow of your choice worth £12.50, so just to clarify that will be one winner who wins the 2 prizes. All you have to do to enter is complete the mandatory steps within the Rafflecopter form below. Please note this is a UK GIVEAWAY ONLY!!! !